October is Infant Loss and Awareness Month. 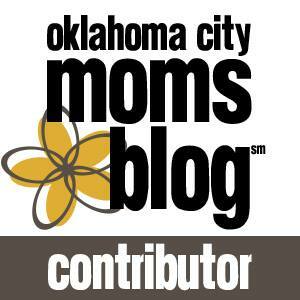 I wrote a very personal piece for Oklahoma City Mom’s Blog that I have decided to share here. This may be an ICYMI piece for those that follow the Facebook page or it may be the first time you’ve read this. I’ll get back to your regularly scheduled program this week, pinkies. I screamed with shocked excitement when you came to town and announced you were pregnant. You secretly recorded us under the guise of a group photo to save our reactions for years to come. In the clip, I said, “No you’re not!” Words that would haunt me.I spent your first trimester commiserating with you over morning (and afternoon and night) sickness, and in your second trimester, you announced you were going to have a girl. The first in our family for over 20 years! I was stunned! You called a few weeks later after a second sonogram. “Gotcha, he’s a boy!” Once again, I was surprised at your news. We are t-minus two days away from school starting. I have decided that Aiden would think boarding school is a dream come true. He cannot WAIT to get out of our familial clutches into the arms of his public school. This is in large part in thanks to a great teacher and team, which, we all know, can make or break our all kids. This year is the middle of middle school. We are “just” two years away from high school, but also WE ARE JUST TWO YEARS AWAY FROM HIGH SCHOOL!!!! Since we all survived our first year at “big school”, I have high hopes for this year (also probably because it’s August. By May, my spirit will probably be broken by the high hopes for summer. So it goes). I realized that we are smack dab in the middle of his childhood via diagnosis. Instead of “he was diagnosed 8 years ago” I’m thinking more in terms of, “he has 8 years before he turns 22”. Time is funny if you consider hanging off a ledge while someone laughs and throws rocks at you “funny”. So this year, I want to focus a lot on practical skills/life skills. What will he need when he’s an adult? Well, he will need to be able to walk up and order food, so I guess let’s work on walking through the lunch line alone. Bonus points for remembering your ID number to “pay” for your account. (Maybe send him with actual money? ehhh….Maybe next year?). When he’s an adult, he will need to know how to count money (probably? Are apps making that obsolete or less necessary? Should we look at budget instead. oh god. Must not panic). He will need to type but I still want to at least nail down a printed signature. Conversing with people. Tolerating chaos. Riding a city bus. Math on a calculator. Not muttering cuss words when people annoy you. Daily deodorant without us reminding him. Speaking up for himself. Slowing his roll on the meltdowns. Calming techniques. Raising his hand to answer a question. Really thinking about the answer rather than saying “yes” or “no” and walking away. Keeping a schedule. Spelling. Reading. Comprehension……you can see that one thought on growing up sort of snowballs. My self-soothing technique in this instance is knowing he has great “domestic skills”: laundry, simple things in a microwave, likes to help cook, enjoys doing his chores (usually), and is currently learning how to mow. So we have some tools slowly going into our toolbox. That’s good, right? Those of you who have ASD or those with kids of teenagers/adults, what kind of skills do you think are important to learn as we get closer to adulthood? What sort of IEP goals did you have in place? Do you have any advice to pass on during this time of gentle transition? How much does technology influence your life and learning? Job advice? Basically, let’s hear it all: the good, bad, and ugly. Just like at the initial diagnosis, it’s time to rise up, take a big breath, and plan. Quick Note: Also, plan on Tuesdays With Autism starting next week. I would have began this series sooner, but Ive been busy with, you know, autism. Ahhhh, Life. Anyway, Here’s to the weekend! Do you ever have one of those days where you can totally understand why some animals just eat their young? Of course you have, you’re a PARENT! Rather than eat my kids or abandon them in a barn, I rub my temples a lot, cuss in the garage, and get super duper passive aggressive…in the fun way! Below, are some of my favorite ways to get back at my most precious monsters. – Hide vegetables in their food. Yeah, you think you’re getting a carby bowl of macaroni and cheese with no nutritional value, but guess again, Buttholes! I have ninja’d vegetables into almost a fine powder and you’re eating them. Oh yes, you are. – Wash the windows with a high power hose and have them stand on the other side. Sure, in reality they are dry and inside, cackling at this fun “game” you’ve created, but there’s something incredibly satisfying about pretending to spray your kid in the face after they had a screaming fit over their socks for 15 minutes. Bonus: clean windows! – Delete their favorite app off a device, unplug the TV and claim it is broken. Take that, spawn! You have to get along and use your imagination to be entertained! – Hide the bubbles. You must slum it in a bubble-free bath tonight, tiny humans. Maybe next time you guys won’t fight over who *has* to clean up the mess you both made…..followed by who *got* to pick up that red car over there. No bubbles for you! – Skip parts of the bedtime story. Oh, a new book that’s incredibly detailed and will draw out bedtime beyond the regular two hour charade you’ve already created? No. Once upon a time a person did a thing and then that thing was resolved. You don’t need 13 pages of details after the day we’ve had. You need sleep. So do I. – Casually walk by and mention Santa in passing during a sibling war zone….in July. Hurried apologies come spilling out of their mouths as their horror-stricken eyes flash forward to a Christmas Tree void of gifts while you get to smirk in joyful silence. Do you have any passive aggressive parenting life hacks you’d like to share? Sound off below! Do you ever – hold on. Just a second, kiddo, I’m talking. You have not been interested in speaking to me this ENTIRE time until now! PLEASE WAIT. Do you ever have one of THESE conversations? Where, by the time you can utter a complete thought, you’ve forgotten what you were going to say? It’s especially fun when the poor person on the other side of this “chat” is ALSO trying to speak. A holiday weekend is fast approaching. You may be around family, friends, friends of friends, and/or that coworker (you know the one). Remember, if you need a fail-safe exit to an awkward conversation, stand next to your child and open your mouth. They are tiny fire escapes with legs.